“Fully loaded” references fishing boats returning to port heavily laden, and thus by extension the traditional livelihoods of an island people. It also alludes to the well-rounded culture of those inhabiting that island. Like New Amsterdam, Tainan in the 17th century was an outpost of Dutch influence. While the Dutch colonized all of Taiwan from 1624 to 1662, their capital there was Tainan, and to this day several forts from that era survive in the city and memorialize Dutch sway. Dutch rule over New York stretched from 1609 to 1667. And like New York, Tainan is a port. The various artists included in this exhibition reflect different aspects of the culture of Tainan or New York, generating snapshots growing out of life experience. In various pieces, they react to fissures between male and female, between Taoist folk religion on the one hand and science and technology on the other, and the ever-present strains between rural and urban life. 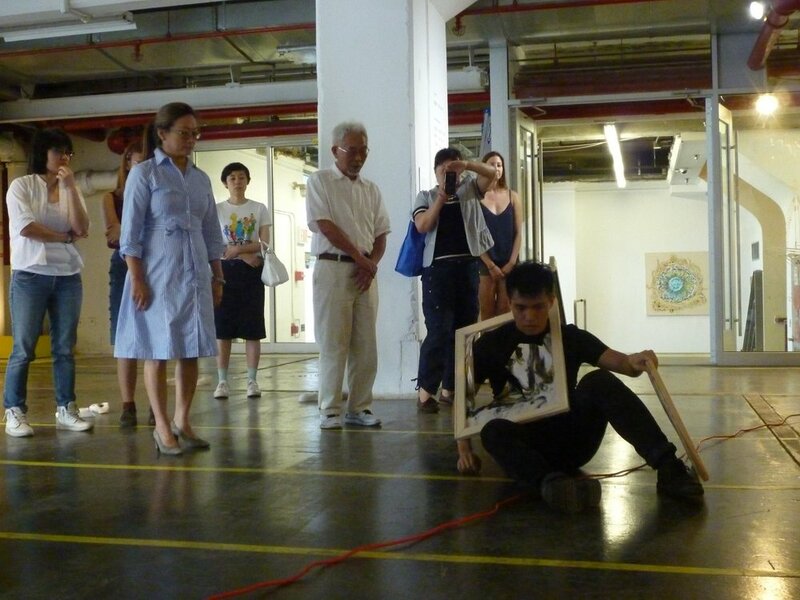 In addition, several artists address themes of self and society that resonate both in Taiwan and in the US. Organizers: Cultural Affairs Bureau of Tainan City Government, Taiwan. · Cultural Ministry, Taiwan The Cultural Affairs Bureau, Tainan City Government, Taiwan. A new 18 foot painting of roses has just joined the Fully Loaded exhibition at Pfizer. Yutien Chang : A live performance to crash his painting; guess what you will witness given his ceramic sculptures. Hans Hofmann remarked in On the Aims of Art that “every medium of expression has its own laws; founded on these laws it can be made to resonate and vibrate when stimulated by the impulses coming directly from the natural world.” New York artists selected for Rewoven naturally display extreme creativity in intuiting and formulating laws to redefine and reshape “fiber art” ideas, practice, and content. In pursuit of a radical agenda, compelling voices reexamine innovation, social justice, and ingenuity in art history in a new context. Parsing our theme, isolate from “rewoven” the term “re-” to emphasize its meaning of “regenerate.” Clues provided a hint which Rewoven has developed. While New York artists prosecute a provocative reweaving, more profound than intimated by the prefix. This exhibit celebrates concept and relentlessly questions and confronts the requisites of "Fiber Art." While weaving itself indicates an element of reversion and repetition, it has been ready to absorb the practical implication of the new critical regime with no delay. Works here depart from a straight line to seek a new form and awareness, to more actively rebuild, furthermore to renew a value judgment. And these ineluctably update our contemporary conception world. By no means, has weaving been politically correct. Art in the past two centuries is a direct consequence of the separation between society and real life. Yet in reimagining fiber art from craftsmanship to a new relevance and placing it beside new media in the forefront of the development of art. Ming-Jer Kuo has straddled this gap. Kuo’s series Suburban Form apparently is manual and industrial, but upon closer inspection reveals an astonishing organic character. He challenges and expands the parameters of weaving by interlacing dried twigs and clear plastic chips which subtly reflect the metallic shining in an installation. In the two-dimensional pieces, he takes as his point of departure real estate maps, but he proceeds to lyrical and abstract forms. In fact, he produces a diagram of typography of Earth in a whirlpool caught in a spider’s web. In other work, he uses aerial views of repeating construction patterns to rethink and review the over developed land. In the history of craftsmanship, fiber art reached its zenith in the traditional manual mode. The weaving of strand, fabric, and textiles accompanied everywhere in the world the development of human life and civilization. Insofar as it was pictorial, realism of the land and humankind were valued. Fabric intertwines an infinite possibility within a simple latitude and longitude to form a universe, but traditional weaving did not often explore these potentialities. Going beyond conventional methods, Chin Chih Yang uses weaving to discuss the harm we do to our earth. Using recycling materials, for 123 Pollution Solution in this exhibition, he chooses cans with shiny metal and dramatic labels or brand names, cutting and reworking them into a big blanket, and then twisting them to fit his message. And in a more direct piece, Mathematics of Light, thin, silky metal threads cut from cans are formed into a thicket equipped with flashing LED lights and join a small video that depicts factory chimneys polluting with endless exhaust. In Yang's oeuvre, he deals with the environment, social justice on Wall Street, religion, and natural disasters. Whether he uses beverage cans, manikins, video, or unexpected lighting, his art always addresses issues of current concern. To be in harmony with the environment, artists like Hiroshi Jashiki blend emotional and intellectual effort to reach greatest simplicity, sharing some methods with artisans illustrating scenes from daily folk and personal experience. 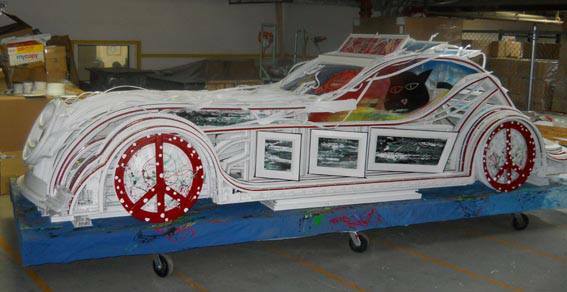 Magnificent artistic works are often produced. They result from facets of reality, the enthusiasm of the romantic, and some are strong fantasies depicting linear nature with a charming rhythm. Jashiki has been working in textile design; so naturally, he takes fabric as material for his work and experiments with color by way of textile software, creating both realistic and highly abstract motifs to create a romantic feeling. In paintings, curtains, triptychs, and screens, Jashiki is influenced both by Japanese Okinawan handweaving and modern digital textile design methods. Nice South France 03, a six-panel folding silk screen, is another sample of his fabric work taking inspiration from nature; the artist reveals the azure mysteriousness of the ever-changing ocean. The waterscape can be viewed from both sides of the mounted silk, light passing through the transparent screen bringing out a rigorous and impulsive feature. Diderot championed a reconciliation of reason with feeling so as to establish harmony, insisting that discipline is also essential to creating sublime work. To deal with fabric in joining the conceptual with the interactive, Lulu Meng has created an intimate piece Threshold in which cloth forms three dripping gates through which people may walk. The artist thus discusses a way to interpret the relationship between body and fabric The harsh metal stainless steel and sterling silver wire in "Model" is suggestive of a corset straining a fetish in space, and gives an ambiguous clue. In "Parts of a Whole,"(fig 2) made in 2015, she deftly uses fabric as a medium to address the weaving of individuals into the larger whole that is society. Her square, cloth lightbox hanging from the ceiling demands both appreciation from a distance as well as close scrutiny. It adumbrates the concern that runs through many of her works – the relationship between the individual and society. Pieced together from fabric-like plaster components, the white bust of Poyen Wang’s Construction of intimacy signifies his healing or acclimating to a new environment. For this piece, he smashed a 3D print sculpture to fragments then gradually sewed it back together to form a complete face. His work is less open to the outside world but more personal and profoundly investigates the self. Theatrically projecting light onto a resewn face casts up an iconographic great man, and alludes to a fake or self-content social situation. In the brave new land, fragility morphs into apparent dominance. A formidable stitch fabric book Atlas demonstrates both technique and manual expertise. The prototype of a landscape was captured from a painted wall in the New York City subway. Processing these images, he stitched together the fabric book by assembling digital pigment prints on silk fabric. 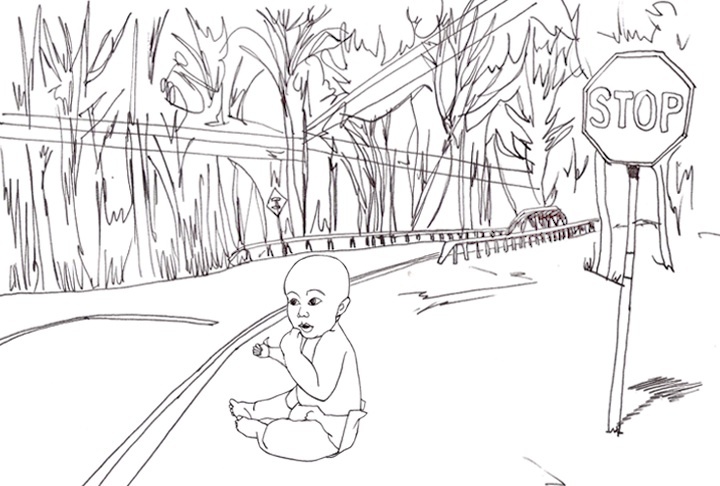 These urban and nature landscape application to an unaware delaying motion video piece. The projection where the artist intended to project the contraction with the rush crowd nowadays we experience in the urban and his preferences. In another example of highly sophisticated conceptual fiber art, Catherine Lan has confronted the artificial and the intimate. She uses synthetic fur to transmit feelings at once organic, feminist, as well as exotic, in her series of "relief paintings" accomplished by cutting fur to form new topographies of forests, mountains, and even streams. As the viewer changes position or strikes the cut faux-fur, so too the fabric alters color and texture, resulting in interactive scenery. In another installation piece, Rest Inside Me, Lan creates a fetishistic, exotic phenomenon – a hanging chair, covered with faux fur. The artificial fur, the cradle-like chair, the festive lighting, and the enveloping music all give shelter and reference the womb. Or from a different perspective, the work speaks to the need to break away from the hectic importunities of quotidian life, to deny imposed societal values, and take the time to rest and to focus on personal balance. Awareness of the essence of life is difficult. For Steven Balogh, memory is barbed wire, looped around and around, layer on layer, and surmounting a high wall to recall a refugee camp. By contrast, his Money Windfall in its strict two-dimensionality, and as in Hoffman’s Aim of Art, “swings and resounds to the rhythm of color” in “achiev[ing] a three-dimensional effect by means of the creative process.” The strokes drip color and form to then function symbolically, and the literary or journalistic consideration has been abandoned. Fiber to Balogh brings art to hard metal as in Peacock in a Trap where he arranges golf clubs in a cage-like structure, with the heads of the golf clubs signifying peacock feathers. Playing on golf’s sand trap, he entangles his notional peacock in an endless cycle, wire, line or metal web, the increasingly restrictive web imposed on him by the pressures of the outer world. A restructuring process to a new form, constructs and might not destruct. The reweavings we take reflect a new perspective on making from traditional methods, new imagination leading to an unpredictable result. In this exhibition, fiber art elides into a subtitle, thereby, seemingly into a line, thread, fabric, or something else. Sarah Walko’s delicate installation looks beyond traditional weaving materials and physical constraints to ideological and conceptual possibilities. Her works address questions related to science, ritual, land, urban areas, and the surroundings. Walko’s reconstructed test tubes sometimes are wrapped together as sacrificial objects, or displayed along with small objects. She carefully arranges various sized materials then crosses air and space tightening thin threads to frame an astrologic and philosophical structure that transmits sublime and mystical notions of the universe. Glass Orchestra entails a constellation of test tubes united by fanciful trails of fabric. This Glass Orchestra installation is a performance. It exposes an exquisite beauty that reveals a quiet melody to us and those within the glass test tubes. With a scientific and mechanical background, John Ensor Parker has conceived a science-based video entitled Multiverse that encapsulates formulae from Einstein’s theory, numbers which form and reform, dissolving into a series of words, and lines which merge into a surface. The digits, numbers, letters fly from a glowing sphere. His mapping pieces on buildings impose upon their targets light, motion, and another dimension. In this Multiverse, a time-space grid crosses the entire world both spiritual and virtual, drawing on both literature and science. Mirroring the entwining of images on the visual level, the light beams themselves are arrays of chains of photons. And LCDs, used ubiquitously in computer monitors, depend on a tapestry of pixels and the warp and woof of polarizing filters. We build up a net that is destabilizing and transformative for ourselves and outside people. These artists reweave a world of creativity to reflect their surroundings. No matter whether this presentation is philosophical, minimal, literary, conceptual, abstract, or commentary on beauty or on the grotesque; the concept of fiber art in New York section has exceeded the capacities for a conventional control and rational comprehension. Equipped with a changing global point of view, especially in view of our expanded connectivity and reach globally, we chafe at the restrictions sometimes enforced. 3. Hans Hofmann On the Aims of Art. IVA The Modern as Ideal, Ed. Charles Harrison & Paul Wood, eds. Art in Theory 1900-2000-An anthology of changing ideas. Blackwell publishing 2002 p. 371. The Clues exhibition was held at Kaohsiung Museum of Fine Arts March 26 to June 26, 2016, and included 24 Taiwanese artists. 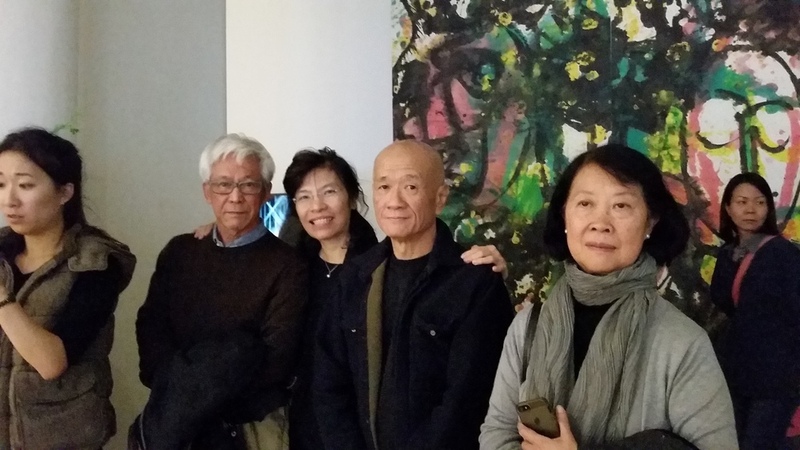 The Taiwanese American Arts Council (TAAC) arranged a cultural visit to Kaohsiung for some guests from New York Cultural and Art organizations, and they had the opportunity to view the exhibition. In 2001 when Alexander McQueen was in Paris for his debut a few days after Sep 11, he was unapologetic for his smoke-screens and pornographic creation. He refused to make any change. “There is no link between the two things as far as I can see. Fashion should never be politically correct. Otherwise it wouldn’t be revolutionary. I just did what I always do.” Susannah Frankel, introduction, Alexander McQueen Savage Beauty. The Metropolitan Museum of Art 2011 p.22. Hans Hofmann ‘On The Aims of Art.’ IVA The Modern as Ideal, Ed. Charles Harrison & Paul Wood, eds. Art in Theory 1900-2000-An anthology of changing ideas. Blackwell publishing 2002 p. 372, 373. 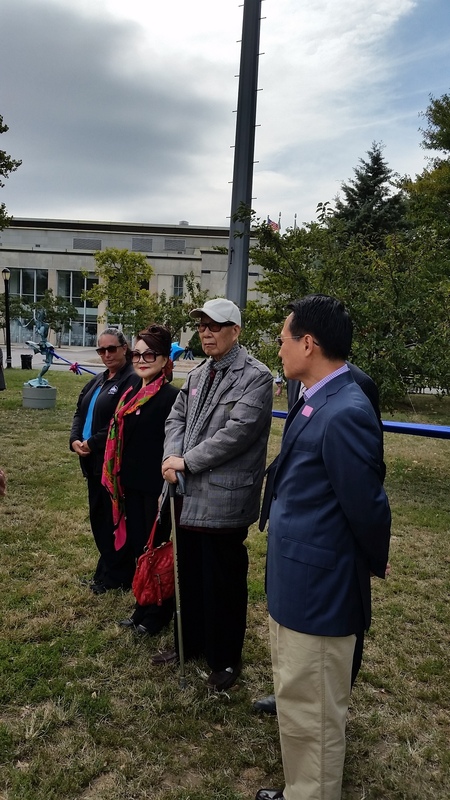 2016 March, We, TAAC, wrapped up the last THE MOMENT program, a beautiful outdoor exhibition in Flushing Meadows Corona Park. In May, we invited four New York guests to visit Taiwan; they are Dr. Amy Winter, Director/Chief Curator of the Godwin Ternbach Museum; Dr. Faustino Qinnatilla. Director of QCC Gallery, CUNY; Michael Royce, Executive Director, New York Foundation for the Arts; and Dr. Kenneth Howell, Senior editor. The guests were guided to visit various cultural and art organizations, museums, artist studios， from north Taiwan to the south, and the towns on the east coast. These cities included Taipei, Nantou, Tainan, Chiayi, Kaohsiung, Taitung, and New Taipei City. They were invited to attend the inauguration ceremony of Taiwan's new National President Tsai Ing-Wen. Following the visit, there will be several collaboration projects forthcoming. To draw a Contemporary Art forum is to separate from both modern and historical perspectives, to immerse oneself in current time and space. A meeting point in the processing time from past and to the future. We might call it the “moment;” it is short and creative. It entails catching an idea when it appears like a flash of light. It can – and must - disappear in the next femtosecond. A “moment” can mean a minute portion of time, or the product of quantity (as a force) and the distance to a particular point. THE MOMENT in contemporary art can be ideally a philosophical term and scientific necessity. In 2015, we take THE MOMENT as a theme, and develop it to a series of multi-disciplinary programs taking place in various venues. THE MOMENT starts here at the New York Hall of Science. The traditional format of painting shares space with an intertwining of natural with industrial material, and a literature space employs the latest interactive technology. These are threads expressing multiple directions, meeting in this MOMENT. The MOMENT investigates the play of the virtual and the real, inward and outward, our intimate reflection on a surface, dark and light, or a view of self in the outside environment. The Moment visualizes a picture, an object, a location, a person, or a fanciful collective memory of how we evolved as creatures. We are about to investigates the artist’s relation to society and himself. New Public Art Exhibition, THE MOMENT, Presented in partnership with the Taiwanese American Arts Council and MOCA, Taipei exhibition includes 7 works by 4 artists. The sculptors include four Taiwanese Artists, CHANG Ya Hon, HSU Tang Wei, LEE Kuang Yu and YU, Wen Fu. The exhibition is curated by Luchia Meihua Lee (TAAC, NY) and Maple Yu Chieh Lin (MOCA, Taipei), and organized by the Museum of Contemporary Art, Taipei and Taiwanese American Arts Council in partnership with NY Parks. THE MOMENT is a series of multi-disciplinary arts programs for which we have invited distinguished contemporary Taiwanese American artists. It will take place from August 8 through October 30, 2015 in various venues in New York City. Selected both from New York and Taiwan, but not limited to Taiwanese American, the artists will present diverse perspectives on the fluidity and fusion of culture between locations as remote as Queens. The works in diverse disciplines —sculpture, installation, interactive art, Performance, and a workshop—will be created specifically for THE MOMENT program and involve the community in dialogue. NYSCI: Margaret Honey, Ph.D., Dam Wimpa, Elizabeth Slugas, Erin Thelen, Michael Lane，Mary Record. Enjoy a night of art phenomena at community center, and a gourmet Taiwanese cuisine. Presented to coincide with the final event for the Queens Museum’s Passport Thursday’s International Music, Dance, and Film Festival. The Moment is a diverse, multidisciplinary, site-specific program, created specifically for this art feast. The Moment at QBG will involve the garden and the community in dialogue. Over 25 contemporary artists use “The Moment at QBG” as a chance to visualize a picture, an object, a location, a person, or a memory to be built upon. They will lead to deeper, richer, and more personalized experiences – experiences that we can take part in together. And thus, cultural and art experiences will flower into a garden. Very appropriately, this will take place at Queens Botanical Garden. Selected artists from New York –including but not limited to Taiwanese American artists–will present diverse perspectives on the fluidity and fusion of cultures. On August 22 and 23, enjoy mid-summer moments by enriching your senses with an art feast at Queens Botanical Garden’s surroundings. Watch the splash dance; meet various artists; and converse with them about their art. 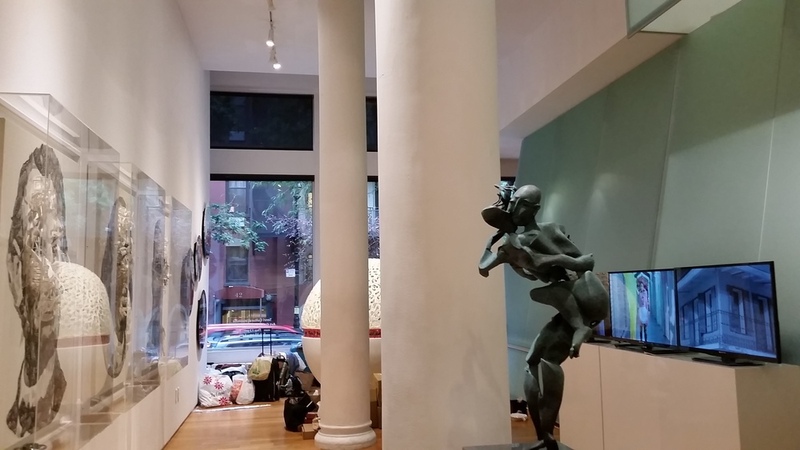 Based in New York, The Taiwanese American Arts Council (TAAC) will foster awareness of Taiwanese American art and encourage dialogue on artistic issues within the broader community in the United States, by the following means. 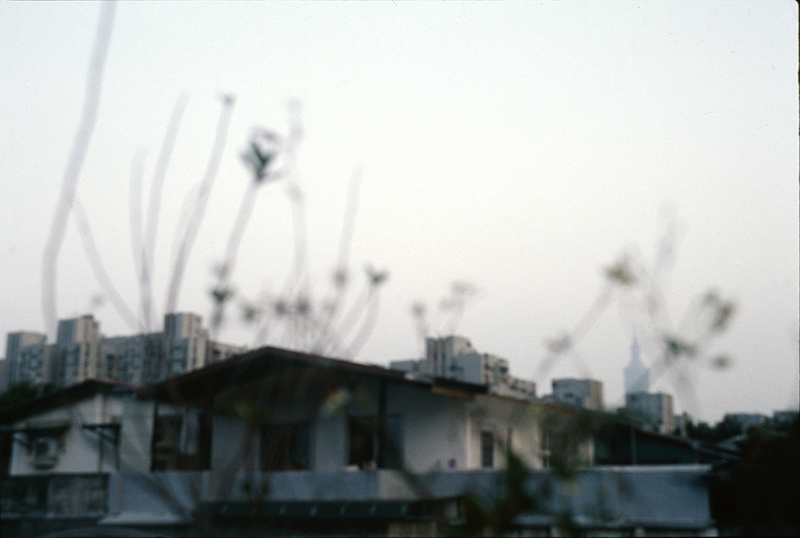 - Support the Taiwanese Endowment Fund at the Queens Museum, and future collaboration projects. - Make cross-disciplinary creative awards. 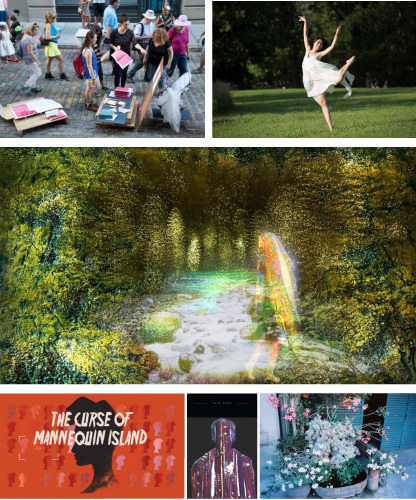 - Help artists in North America as well as artists from Taiwan and friends of Taiwan of different ethnicities to exhibit, perform, and produce their work in the US. - Work cooperatively with colleagues around the US to broaden our collective audiences and to form networks for sharing information, resources, and funding. - Supports all artistic disciplines in classical, fusion, folk, and innovative forms influenced by the arts of Taiwan. 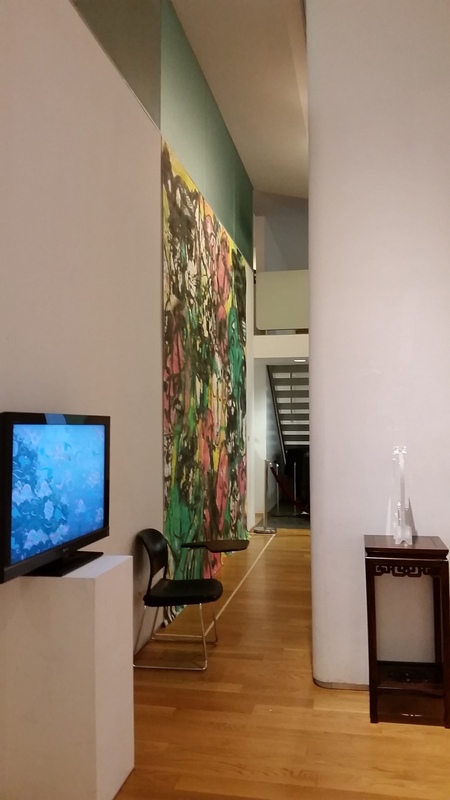 - Build awareness of Taiwanese art in North America. Promote and build alliances with other organizations. Special Thanks to: Tom Finkelpearl, Commissioner, New York City Department of Cultural Affairs. Additional thanks to: Joanne Chen, inCube Arts, Prof. Y. H. Chung for the logo design, the performance team, and all the artist who donated their art works. Exhibition, Performance, Music, Dance, and Other Event.